Marilyn (Pennington) Misner passed away peacefully at her residence, Thornapple Manor in Hastings, Michigan on January 12th, 2019. She was born in Hastings, Michigan on May 2, 1942 to Clyde and Eva Pennington. 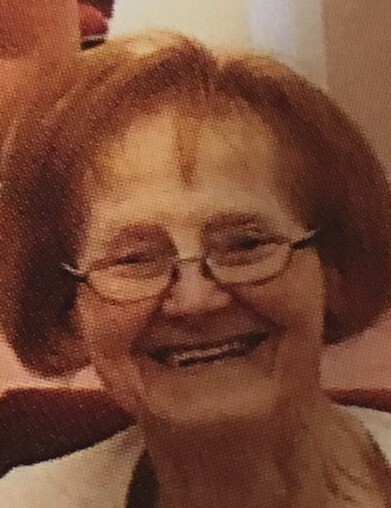 She is proceeded in death by her husband of 53 years, Russell Misner Sr., sister Margaret Carroll, brother Albert Curtis, son-in-law Gregg Bumford and grandson Brandon Misner. She survived by daughter Brenda Vugteveen of Hastings, daughter Debbie (Kevin) Kaminski of Lowell, son Russell (Lori) Misner Jr. of Lake Odessa, grandchildren Becky Barlow, Kyle Kaminski, Jeremy Kaminski, Lindsey Hill and Lucas Brumm along with 12 great grandchildren and many nieces and nephews. Marilyn had the heart for cleaning; she cleaned house for many residents in Hastings and Lake Odessa. They all thought she was the best. Marilyn had the will to take care of anyone that needed help. She always looked forward to the family vacations in Six Lakes, Michigan at the cabin that Grandma Lala had (Luella VanderGriff). The family will forever miss her famous peanut butter no bakes and cooking too much food. Visitation will be held from 1pm until 2pm on Friday, January 18, 2019 at Koops Funeral Chapel in Lake Odessa, MI. Funeral services will be held on Friday, January 18, 2019 at 2pm at Koops Funeral Chapel in Lake Odessa. Burial will take place immediately following at Lakeside Cemetery, Lake Odessa.